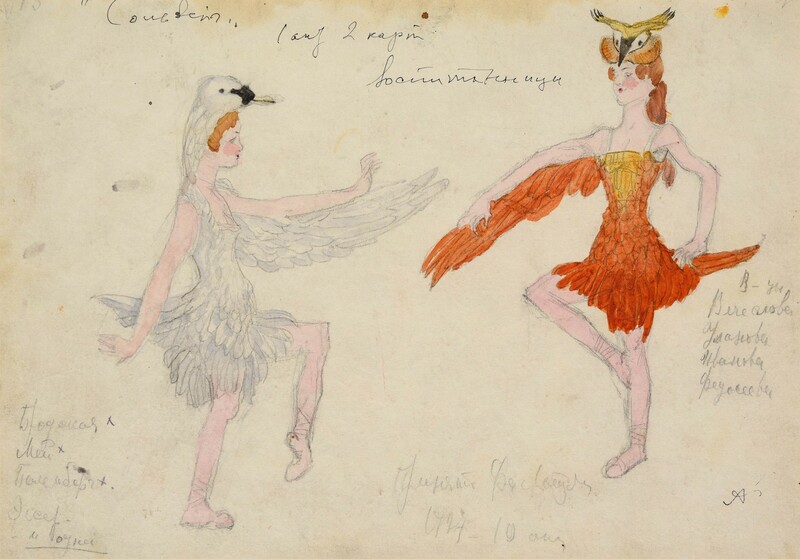 Through a private collection of more than 300 graphic works, a Monaco auction house takes us on a journey of the history of the Ballets Russes, a particularly significant cultural tradition in the Principality of Monaco. "Ballet is the most interesting art form, which miraculously survived in Russia when it disappeared everywhere else," said Russian writer and painter Alexandre Benois. 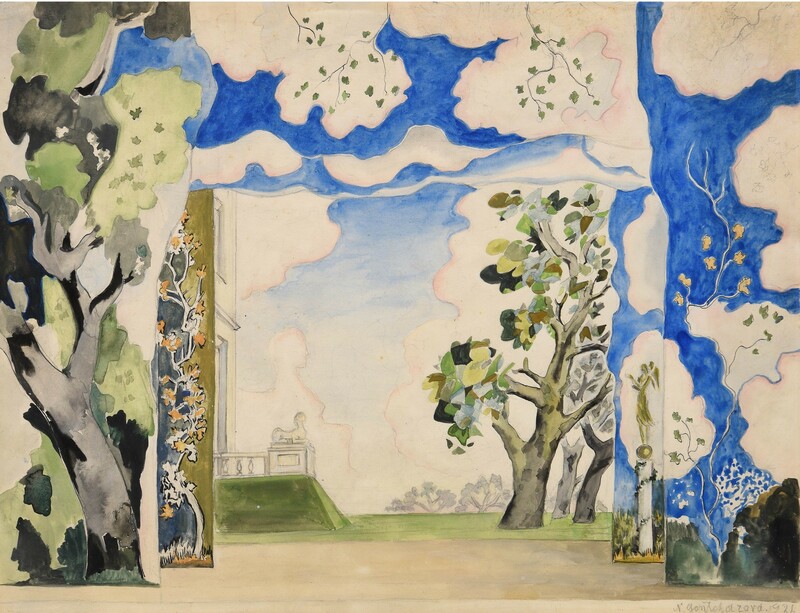 From 1914 to 1985, the most famous operas, ballets, Russian tales and musicals were presented on stage and to the public, inviting artists and performers to contribute to the development of sets, stagings and costumes. Ballet has become so deeply rooted in Russian culture that today it is inseparable from the artistic scene and history of the land of the tsars. During the 19th century, the ballet boomed and inflated the reputation of many composers and choreographers, ranging from Peter Tchaikovsky (composer of the legendary Swan Lake and The Nutcracker), to the controversial choreographer Vaslav Nijinsky, who generated the most resounding scandals in the history of the Russian Ballet, with The Afternoon of a Faun and The Rite of Spring. The foundations of modern ballet were laid in 1909, with the creation of the famous troupe by the impresario Serge de Diaghilev. The company then began a European and international tour, with a first season held from May to June 1909 at the Théâtre du Châtelet. In 1911, Diaghilev broke definitively with the Imperial Ballet and made the Ballets Russes, a private, independent company, which travelled to Monte Carlo, Paris and London, with no particular attachment to any single theater. Building on this success, the company used the talent of avant-garde artists for sets and costumes projects. 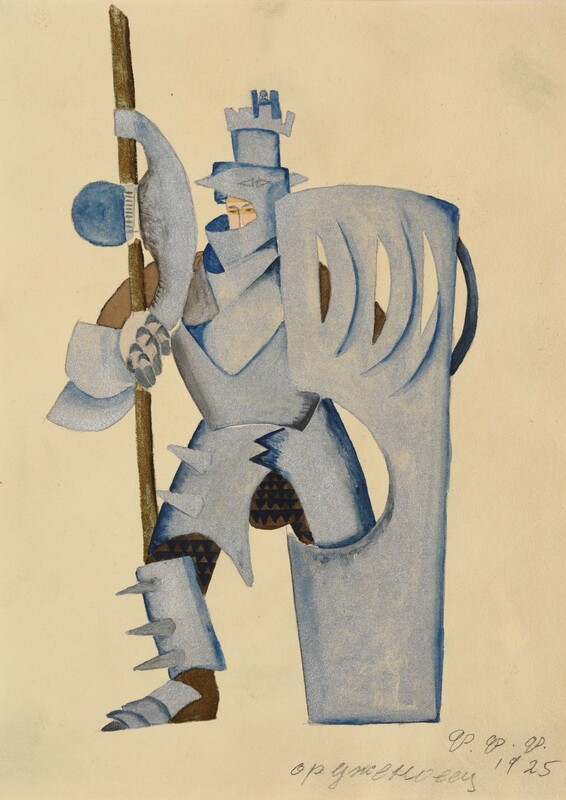 Clothing and staging became increasingly important elements in the development of operatic and theatrical performances, even after the dissolution of the Ballets Russes in 1929, the year of Djagilev's death. The Principality of Monaco greatly contributed to establishing the reputation of the troupe, every year hosting a new ‘Season of the Ballets Russes de Monaco’, a tradition which continued for more than half a century. Since its establishment in the Principality in 1910, the tradition continued, especially with the creation of the Grand Ballet of Monte Carlo in 1947 by the Marquis de Cuevas. In 1975, the Princess Grace Dance Academy opened its doors, followed by HRH Princess Caroline of Hanover, which has been operating for more than 30 years. 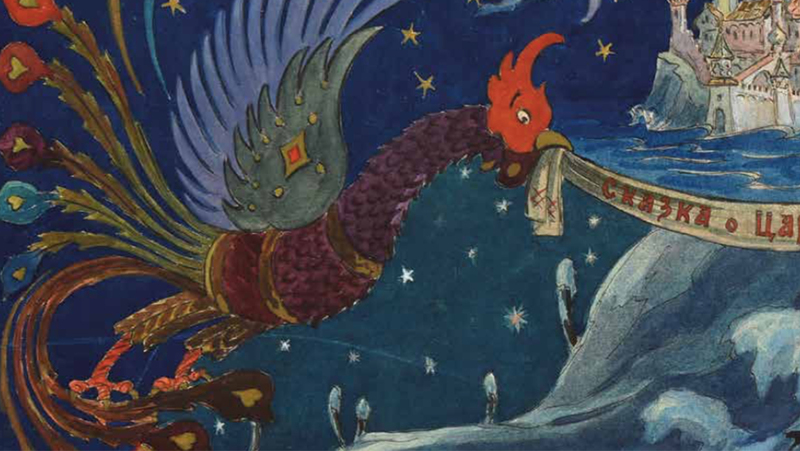 Nearly 300 graphic works, composed of watercolours, drawings and gouaches from a private collection will be auctioned on Tuesday 2 April at the Hôtel des Ventes de Monte-Carlo. 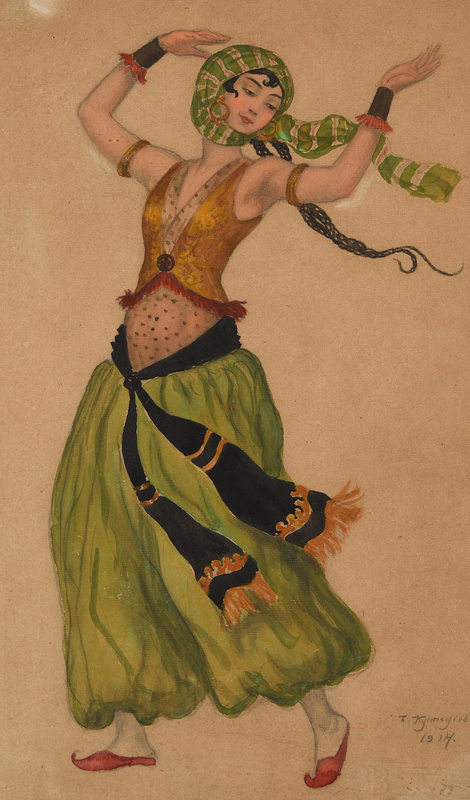 With a story so closely linked to the tradition of ballet, the dispersion of such a collection on the Monegasque soil is "highly symbolic", as stated by the auction house. 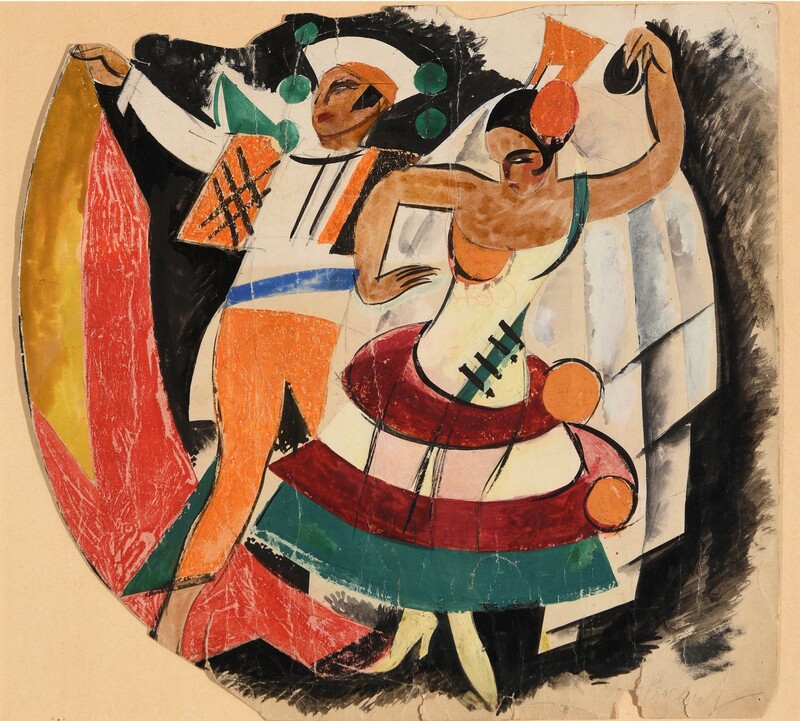 Great artists – such as Bakst, Benois, Exter, Kustodiev, Meller, Petritsky, Lanceray, Federovski, Golovin, Goncharova and Meller – are represented, and what also gives this body of work its richness is the presence of several Ukrainian artists who, despite the restrictions of the totalitarian regime, managed to perpetuate the tradition of the Ballets Russes. 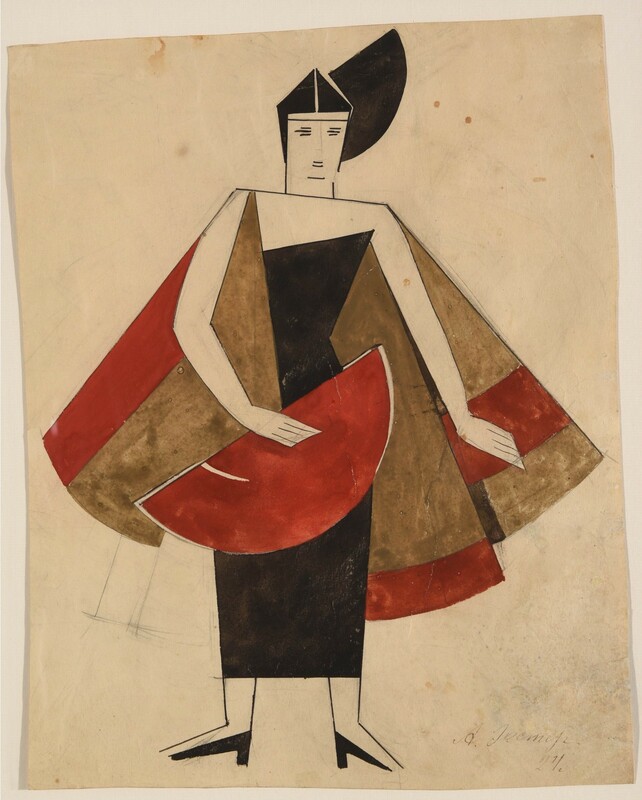 Organised in collaboration with the expert Cyrille Boulay, the sale at HVMC will inaugurate a new season of Russian Art in style.